Today I am running on 5 hours of sleep and coffee and let me tell you the day is already Ah-Mazing! Hope your year has started off fabulously as well! It seems Monday's post with the Ingrid Bergman inspired out fit was a hit and I am so enjoying this travel series. I promise to finish that Astrological series this year as well it just takes more time than I have at the moment. 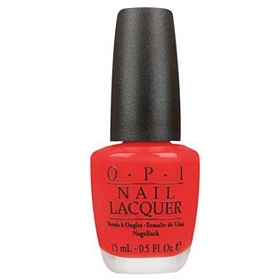 So today, I am bringing you the nail color of the week inspired by the red dunes of Morocco. 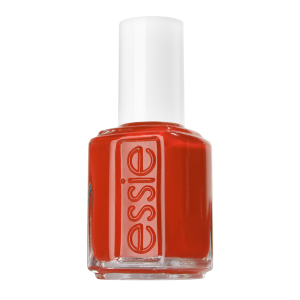 Who could resist this reddish-orange colour that is popular with fashionistas everywhere? Of course most would say you could only use it in the summer but I say be daring, take a chance, throw that color on in the middle of winter. What would people say? They would gush at your boldness and your forward fashion sense..
You can do it girls and guys.. Get'er done and be reminded of Morocco every time you look at your toes or fingers. I mean what a great way to fantasize about such an amazing trip? 2 comments on "Nail Color of the week--Morocco"